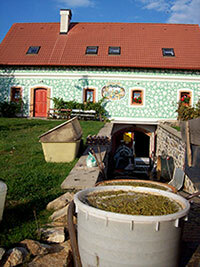 The family winery can be found on the edge of the town of Olbramovice, which comes under the sub-region of Znojmo. Vineyards surrounding the winery grounds are planted on the area of 1.5 hectares. In the varieties of these vineyards we can find primarily blue varieties: André, Blue Frankisch, Cabernet Moravia, Cabernet Sauvignon, Blue Portugal and St. Laurent. From white varieties there are grown: Chardonnay, Sauvignon and Green Veltliner. The winery, founded by Jiří Marek, is occupied with the production of unique so called odic wines. In addition to traditional manufacturing techniques, unique procedures based on fermentation in the so called odic zones are used in the production of the wines. These odic zones spread under certain conditions in shaped emitters – pyramids. The aim of the odic fermentation process is to slow down the ageing of wine, to lower the consumption of SO2 and to eliminate negative feelings in wine consumption, such as headaches and heartburn in susceptible people. 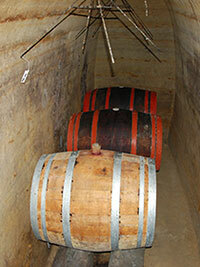 You can find more information in Winemakers under magnifying glass –Wine matures under pyramids in Marek Winery. Company’s philosophy is to manufacture first-rate quality wines with specific attributes by a traditional method with the least possible interference with the natural ageing of wine. Emphasis is placed primarily on the absence of any additives and contaminants in wine (not counting a small amount of SO2) and traditional manufacturing methods without the use of modern technology. The primary objective is to preserve the terroir in wines and that is why our winery, unlike the vast majority of others, at the start of the fermentation process does not use ADWY (active dry wine yeast) which gives the wines certain uniformity. We only use broth from our own grapes to start high-grade fermentation. The Czech Republic is not a manufacturer of ADWY. 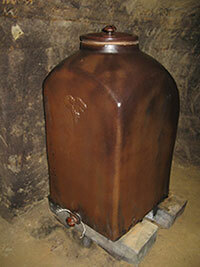 Therefore, Czech and Moravian wines are fermented using noble yeast from other areas. The most used are ADWY from Germany, France, Chile, South Africa and New Zealand. Thus, domestic wines receive uniform or even global nature (www.znalecvin.cz/asvk). Quality management of our viticulture consists of a small load of vine by grapes and reduction of harvest. The main objective is the minimum loading of the environment through environmentally friendly vegetal preparations, limited use of chemical sprays and efforts to biodynamic practices in growing grapes.